In the wake of the worst terrorist attack in New Zealand, Wairarapa people are lending their support to those affected in Christchurch. Fifty people have died after a man opened fire on two mosques in Christchurch on Friday, and 36 people are in hospital being treated for injuries. In Wairarapa, flowers and messages of love and support have been left outside the Masjid Al Noor Wairarapa mosque in Masterton and in public places like the Masterton Town Square, where a candlelight vigil will be held tonight at 6pm. Members of the Wairarapa mosque and Wairarapa police are travelling to Christchurch, but for others who are keen to help, a donation box and condolence book have been set up in Carterton and Masterton. 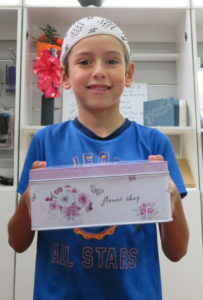 Ali Kamar, son of Wairarapa couple Ahmed and Kate, holds a donation box. Ahmed and Kate Kamar who own The Laptop and iPhone Shops in Masterton and Carterton set up the donation box and condolence book in their shops as a way for people to show their support. The couple and their family attend Masterton’s Masjid Al Noor Wairarapa mosque and Kate said they’d been “devastated” when they heard the news. “We heard about it on Friday pretty much as soon as it was happening, and our reaction was just shock and horror I thought this can’t be happening, not in New Zealand,” she said. Funds from the couple’s donation boxes will be sent through the Wairarapa mosque directly to the Christchurch City mosques affected. Kate said they’d already received a few donations. “We had one lady here on Saturday morning pretty much as soon as we opened she gave a donation then wrote in our book which we’ll send down as well. It’s just a way for us to support them. Kate said they planned to keep the donations box open for a few weeks to allow Wairarapa people plenty of opportunity to give. Acting Duty Sergeant at the Masterton Police Station Andrew Stringer said two police officers had already travelled to Christchurch to help, with more set to join them in future. 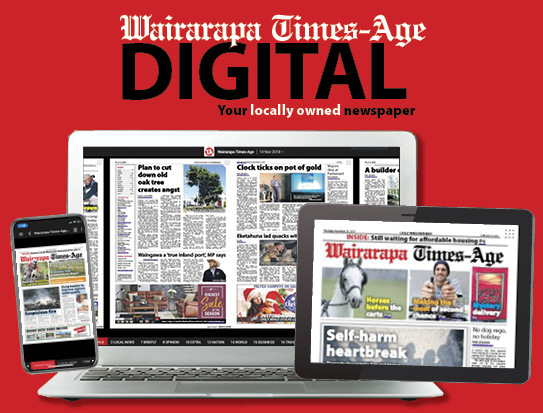 The Trustees of Masjid Al Noor Wairarapa mosque sent a message to the Wairarapa Times-Age saying they’d been liaising with two members who are in Christchurch. “They are giving us all updates in relation to the tragic incident such as death toll and the identity of the victims and their origin. “Three of our members are flying [this] morning to Christchurch to visit the affected ones and find out more about funeral arrangements,” the message said. 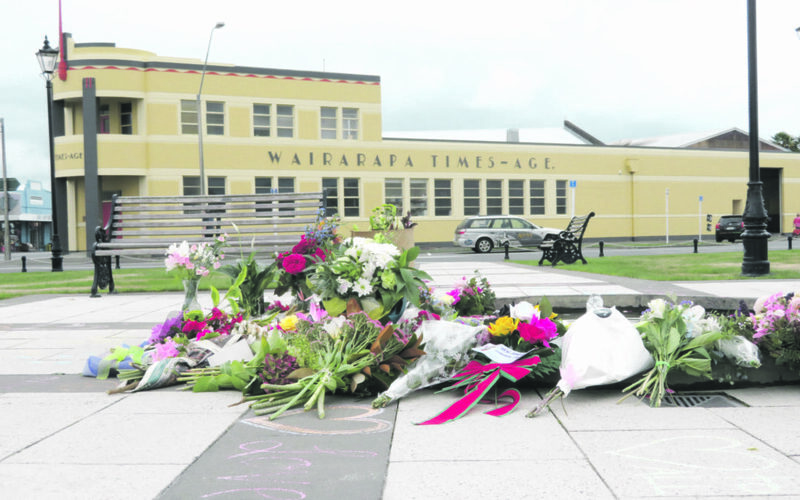 The trustees said that while they hadn’t received full clearance from the police to gather at the Masterton centre they had received the “supporting” public’s flowers and condolence messages. Wairarapa-based Labour list MP Kieran McAnulty and Masterton Mayor Lyn Patterson have organised a candlelight vigil for 6pm tonight to allow Wairarapa to show its support and solidarity for those affected. 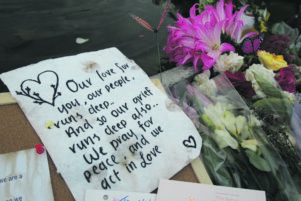 The vigil will be held outside the Masterton Town Hall and will include speakers from iwi, a representative for various faiths and churches, mayors and MPs. A speech from a representative from Wairarapa’s Muslim Community will be followed by an Islamic prayer. McAnulty said the vigil had been scheduled for 6pm so members of the mosque would have time to attend before evening prayers. “Wairarapa is a caring and inclusive community. We want to show those in our Muslim community that we stand by them, that we grieve alongside them for those affected by the tragedy in Christchurch. Candles will be provided by businesses, but McAnulty said if people have any candles at home, they should bring them as large crowds are expected. McAnulty said that with refugees coming to Masterton this was the town’s chance to show them that Wairarapa can be their home. Patterson said it is clear the community want to do what they can to show support. 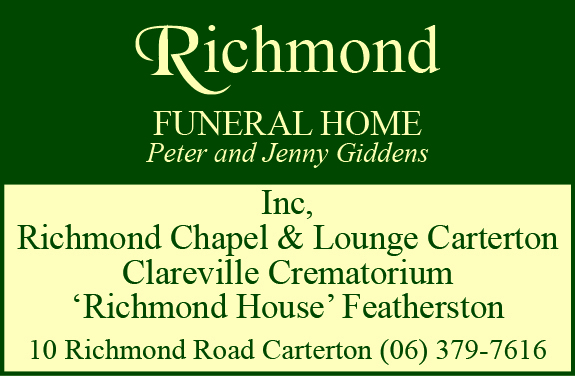 The Featherston Community Board has organised a vigil for 6.30pm on Thursday at the Featherston Town Square. The vigil will also be attended by members of Masjid Al Noor Wairarapa.